You must REPLY to the confirmation email to activate your subscription. To change your address, first UN-subscribe the old one, then SUBscribe the new one. 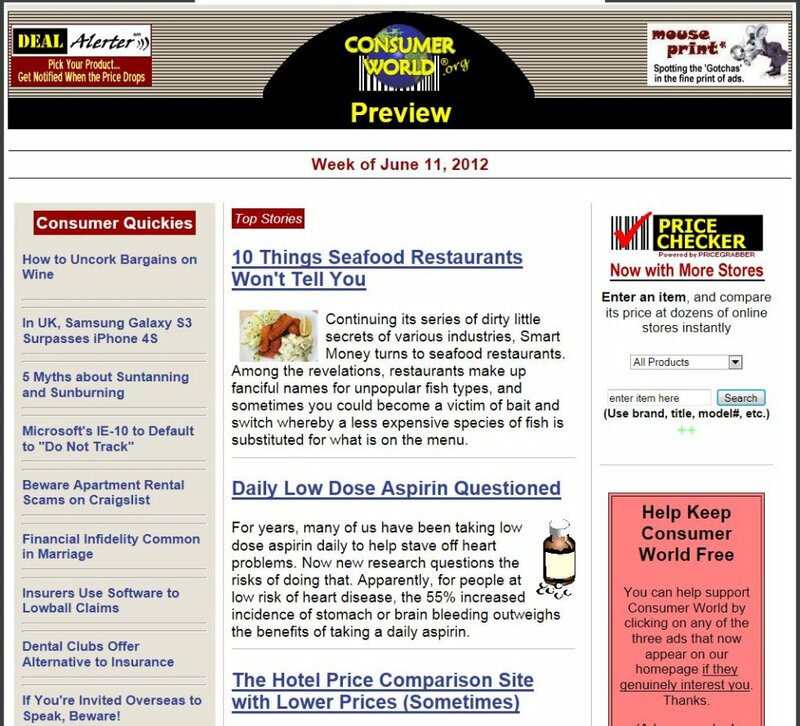 To subscribe to Consumer World Preview, [ see sample ] a free weekly e-mail newsletter containing the latest additions to Consumer World and Mouse Print*, and a preview of the week's latest consumer news stories, features, and bargains, just enter your e-mail address above and click "Subscribe". You will receive a confirmation email that you must reply to in order to activate your subscription. NOTE: Spam filters often delete the newsletter erroneously or move it to your spam box or folder. Add "newsletter (at symbol) consumerworld.org" to your "friends" or "whitelist." And, if you are a current subscriber, and your newsletter is not arriving on Monday morning, check you spam box. Privacy Notice: Your e-mail address will not be sold or rented for marketing purposes, and will only be used for maintaining this list.